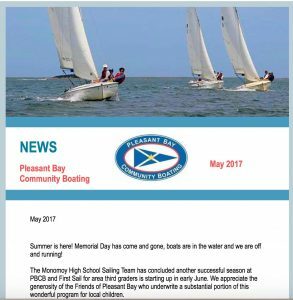 May Newsletter: We’re Gearing Up for Summer! What do climate change, local food production on Cape Cod and … hmmm, PBCB have to do with one another? Local journalist Aline Lindeman connects the dots for you. 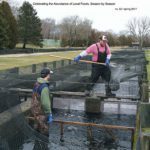 In the Spring edition of Edible Cape Cod, the quarterly magazine that investigates and celebrates the local, organic food of Cape Cod, Lindeman explores the connections between the changes we’re already enduring from climate change and the land and sea-based food products produced here on the Cape. Along the way, she pauses to explore how the origins of Pleasant Bay Community Boating fits into this. Curious? To read the article, click here!